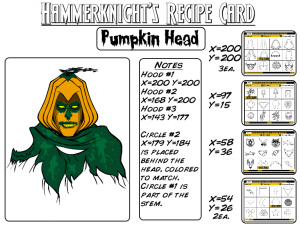 Hammerknight has put together a set of very cool Halloween-themed item recipes for your enjoyment this spooky season. 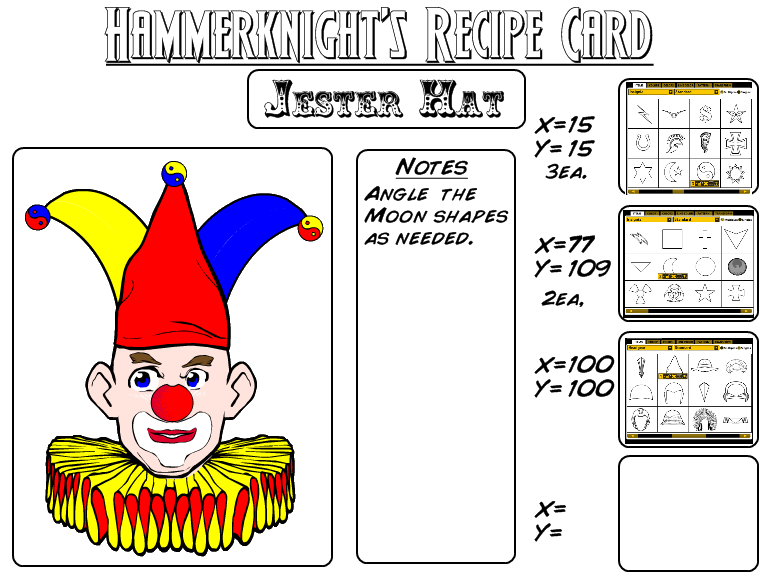 He's also got a nice new layout for these recipe cards that I think looks great. As always, many thanks to him for being willing to put in the time and creativity to assemble these. 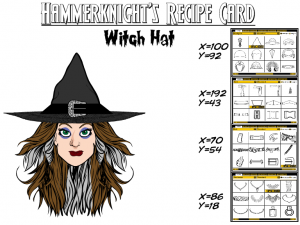 Click on any of the images to get a bigger, more legible version for viewing or printing. More proof how talented Hammerknight is. what’s the next Halloween-themed item would be???? @Kyle if you have any ideas let me know. @Kyle cool, I’ll see want I can work up for you. 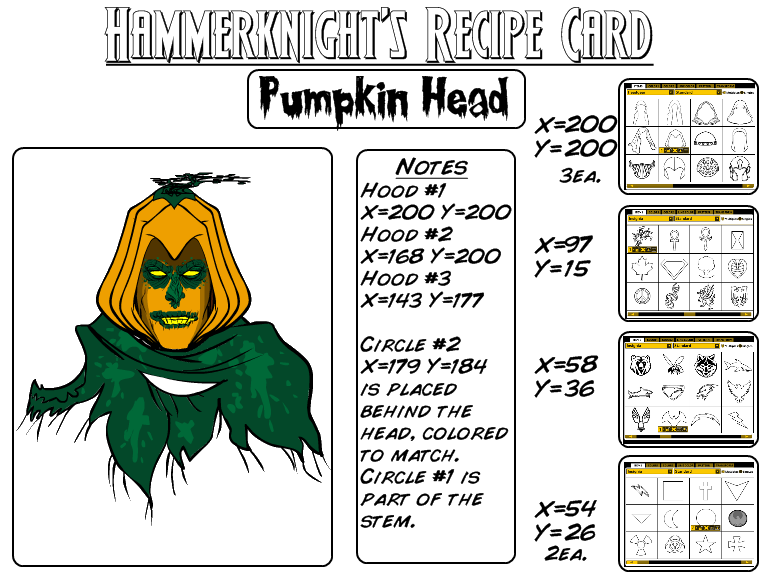 Good job on the Halloween-themed item recipes.